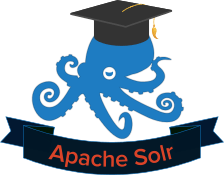 If you are using Solr and are looking for Solr training to quickly improve your Solr or SolrCloud skills, we’ve running several Solr classes this October in San Francisco and New York. Have two people attend the training from the same company? The second one gets 25% off. To see the full course details, full outline and information about the instructor, click on the class names below. All classes include breakfast and lunch. If you have special dietary needs, please let us know ahead of time. If you have any questions about any of the classes you can use our live chat (see bottom-right of the page), email us at training@sematext.com or call us at 1-347-480-1610.